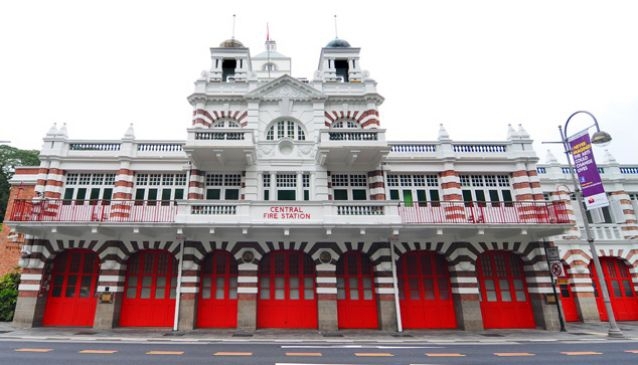 One of the oldest existing fire station's in Singapore, the Central Fire Station is loaded with a rich history, massive architectural beauty and interactive tours. Bring your family for an infamous tour and become immersed in previous missions and rich Singapore service history. This brick building dressed in red and white accents was built in 1908. Still being used today, the watchtower is now a living quarter for working firemen. On Saturday mornings the fire station crew lets children 'test' their equipment, allowing them to climb into the trucks, holding the water hoses, ride on the engines and take pictures. The friendly firemen will be there to explain and answer all the curious questions from the children. After all outdoor fun, make sure to have some time left to visit the Civil Defense Heritage Gallery, which is a small fire-fighting museum that houses historical artifacts along with interactive games and activities on the second leve. The museum is open from 10am - 5pm Tuesdays to Sundays. The fire station is only open for the public on Saturdays from 9 to 11am.